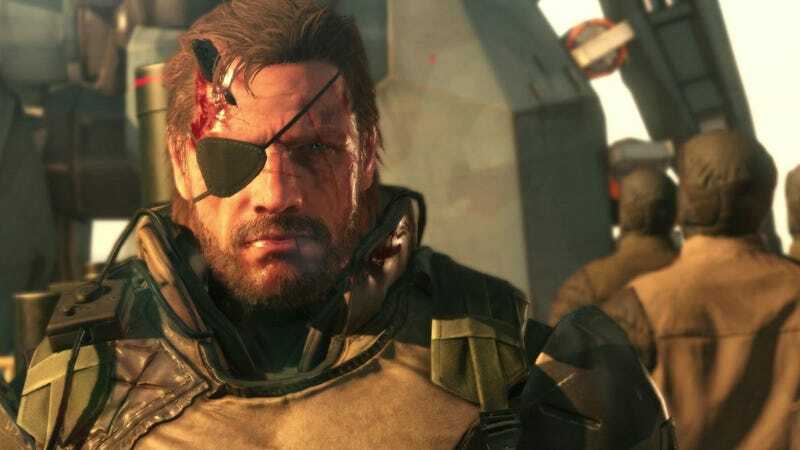 Metal Gear Solid V: The Phantom Pain has a secret ending that plays only if all players dismantle their nuclear weapons. It requires players to disarm all nukes in the game, a nearly impossible task thanks to hackers and hoarders. Last week, the end suddenly triggered even though countless nuclear weapons still exist within the game. And now the game’s publisher is acknowledging the error. The nuclear disarmament option was first discovered when players searching through the game’s files uncovered a hidden cutscene that no one could trigger. In that scene, Big Boss and his mercenary cohorts declare that all nukes around the world have been destroyed. Players can build nukes in Metal Gear Solid V and add them to their bases stockpile while other players can attempt to steal those nukes for their own uses. Fans theorized that disposing of every players’ nukes would trigger the cutscene, and a smaller but dedicate group of players worked towards that goal. The cutscene for disarming the world finally triggered for players on the PC version of the game last Friday. There was one problem though—some players still had nukes. The official Metal Gear Twitter account tweeted confirmation that the cutscene triggered prematurely due to unknown reasons. Update— February 13, 11:10 p.m: The official Metal Gear Twitter account has tweeted an update to the investigation stating that servers were sent an incorrect value that was interpreted as zero. The most recent counts of players’ arsenals occured at the end of last month and while it showed that the nuclear stockpile had decreased by 4,110, that still left over 7,000 bombs in the wild for players to disarm. Players on the “Metal Gear anti-nuclear” Reddit responded to the news with frustration. One player on the subreddit complained that Konami had been “ignoring everyone’s pleas to fix a system that allowed a handful of nuke developers to overturn the efforts of an army of disarmers” and speculated that the publisher had activated the ending just to hype the upcoming Metal Gear Survive. Others speculated that the cutscene triggered due to an overflow error in the game’s code. The cutscene that played claimed that there was a total of 2,147,483,647 nukes in the game. The number is so large that players believe it increased into a negative number that caused the game to act as if no more nukes were present. Kotaku has reached out to Konami. There might not be an official disarmament in Metal Gear Solid V but for a few moments it almost seemed like it had happened. The PS4 version of the game still has 1942 nukes, at last count. But with only 331 nukes on the Xbox One, we might see this cutscene again very soon.